Posted April 26, 2018 & filed under Uncategorized. Occasionally, we hear great stories from customers and share them with the staff. In this case, we thought we’d share one with the rest of our cage-free canine community. And thanks to Molly Brennan and Kenny Barry for stopping by on their way across the United States. We never really thought about it before, but we are right in the middle of the country for anyone thinking of swinging by like they did. My wife and our two pups, Louis and Amina (@shortercollies), recently decided to move from Pittsburgh to San Diego. We were all excited, especially the dogs. We mapped out a two-week, 2,400-mile road trip with a weekend stop in St. Louis—namesake of our noisy-but-loving terrier mix. The itinerary was simple: hit the road and visit some friends and family for a few days to break up the trip. The problem of what to do with our pups during our stops was more vexing. 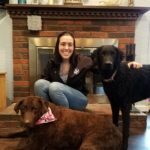 Posted April 19, 2018 & filed under Dog Care, Employee Spotlight, Staff Spotlight. Posted April 19, 2018 & filed under Dog Smarts. Posted April 19, 2018 & filed under Promotions. Posted March 19, 2018 & filed under Uncategorized. We are proud to partner with Treats Unleashed for this year’s Easter Egg Hunt for Pets and their Peeps, this Saturday from 11am to 1pm. And we plan to up the ante with a few hidden gems of our own. 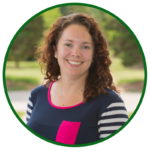 Posted March 19, 2018 & filed under Employee Spotlight, Staff Spotlight, Uncategorized. We’re proud of our cage-free canine community. It improves behavior, enhances quality of life and provides a much-need energy release for dogs of all ages and sizes. They’re truly amazing. They know every single dog’s name. Seriously, feel free to issue a pop quiz. They show up early. They clean up . . . stuff. And they do it all with love. Posted March 19, 2018 & filed under Promotions. This year’s hangover contest is nothing to sleep through. 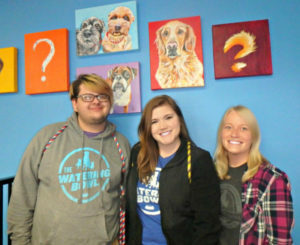 This year’s winner will collect $500 for themselves and $500 for their rescue of choice. We’re not math magicians over here, but our calculation comes out to roughly $1,000 for the winning hangover. For those who are unfamiliar with the doggy hangover phenomenon, it’s how we describe the residual effect of a full day of play at The Watering Bowl. 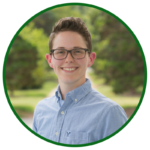 Posted February 19, 2018 & filed under Staff Spotlight, Uncategorized. Everyone knows it’s awards season. And if we do say so ourselves, the staff at The Watering Bowl is highly deserving of recognition. Even if we don’t have a Hollywood afterparty to attend. And just like everything else we do in and around our little cage-free canine community, the Annual TWB Awards For Excellence In Dog Care reflect our passion to provide the best doggy daycare, boarding, training and general health and wellbeing for your dog. So, without further ado and minus the red carpet banter, we proudly present the TWB Staff Awards for growth, support and leadership. 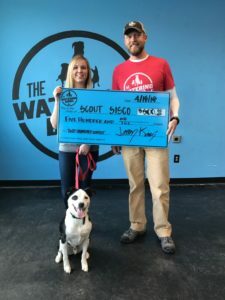 Posted February 13, 2018 & filed under Dog Care, Uncategorized. No, that’s not Latin. It’s our way of celebrating. Specifically, we’re celebrating our 8th Anniversary on Thursday, February 22nd, with nail trims for $8. The eight-dollar Anni-Pedi makes pampering dog more affordable and infinitely more fun to say. Plus, the dogs deserve it. They’re the whole reason we’re here. And we feel fortunate to have been able to welcome your best friends for eight years now. It doesn’t seem possible. But it does seem like a dream come-true. Posted February 13, 2018 & filed under Overnight Boarding, Uncategorized. You think you’re ready for Spring? What about your dog? While you’re planning a big getaway to the beach, we’re already thinking about breaking out the pools. While you’re daydreaming about Mai Tai’s, we’re looking forward to throwing open the door to our outdoor play area. It’s Spring Break 2018 at The Watering Bowl, and your dog is invited. And while you’re off taking selfies with your besties, we’ll be here collecting party pics all day, every day. Hashtag tail wag. But boarding fills up fast this time of year. So, if you’re out shopping online for the hotel with the best view and the highest thread count, don’t forget to make your dog’s reservation with us. Not to brag, but our amenities are right up there with just about any resort. Let’s review. Padded floors, giant fans, pools (we already mentioned those) and posh sleeping quarters. With attentive staff onsite around the clock, you can be sure that party won’t stop. It may, however, pause briefly for the occasional nap. Then, it’s back to mingling on the stationary cruise ship known as The S.S. Watering Bowl with ports in Brentwood, South County and the Dog Grove. And this year, we have a brand new feature at the Dog Grove location to offer those who don’t have the opportunity to stay with us (namely, humans). Ask at the front desk about our Cage-Free Cameos. 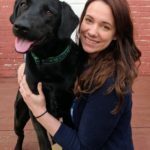 They’re custom one-minute videos featuring your dog that we will shoot, edit and upload to a YouTube link for your viewing pleasure while on your own Spring Break. Just try not to get too jealous. 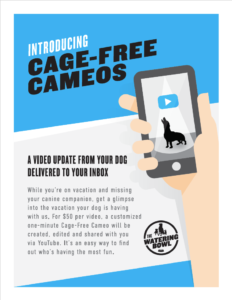 Cage-Free Cameos are $50 per video. And we’d suggest having one delivered halfway through your trip, so you can show off your dog to all the new friends you meet while you’re away.